How would you describe the perfect vacation? Is it a perfect time to finally devote yourself to your own health by taking activities like cycling, hiking, long walks, swimming, or you just want to spend some time with close friends and experience new things? Or maybe you need a vacation to get away from the rush hour and find the peace you need. Following the new trends in the travel industry, there is a noticeable increase in demand for more peaceful, more isolated vacation destinations, whether you are traveling solo or with a family, and most searched places for that type of vacation are lighthouses. It may seem like a strange choice of accommodation, but for those who are looking for a peace that they desperately need, it can be an opportunity to break the vacation routine. The lighthouses are not interesting only for their unusual locations, they are an important part of history, especially if you bare in mind that these towers showed a way home to many sailors. Although the old way of producing lights for sailors was replaced with the new technology, it would be interesting to have the first chance to experience the role of the lighthouse keeper for a couple of days. Why spend the day in the lighthouse? City rush hours, loud sound, accelerated pace are the environment in which most of us live but which brings us to the situations in which we forget about our own needs and peace of mind. For this reason, bigger desire to escape and find peace and rest should not be so strange at all. Going to a small island or cove can satisfy this type of need but also enable a different type of adventure on the vacation. You must wonder how is it possible to have an adventure in an isolated place with just one tower in it. Having the private first row to the sea and a bay for swimming should be a good reason for a start. Because of their sole purpose, lighthouses are located in unusual areas like desolate islands or high ridges. All of these areas are unusual due to their looks and geographical features, and as such, they can be ideal for exploring in terms of long walks, bicycle riding etc. The location and the environment around the lighthouse can be used as an inspiration if you are a fan of photography and want to document every moment of your trip. Being accommodated in a quiet and isolated area does not necessarily mean you can not enjoy the comfort. Most lighthouses are transformed into tourist facilities and decorated so you could have a feeling of being in your own home. Croatia with more than 1000 islands, islets, ridges, and bays has one of the most indented coasts in Europe. That type of coast may be a problem for ships, especially if the weather is bad. There are 45 lighthouses along the Adriatic coast. Construction began in the 19th century during the time of the Austro-Hungarian monarchy which was part of the navy development program. Croatia is a country where tourism is one of the most important branches of the economy, which is one of the reasons why many of the lighthouses have been converted into tourist facilities intended solely for a peaceful vacation. Of the 45 mentioned lighthouses 11 are used for tourist purposes, and below we bring you 4 where you will find the necessary peace and inspiration during your journey. At first glance, it can be seen that the Tajer lighthouse has something special. But it's not all in appearance. Because of its unique position, the lighthouse always had strategic importance. 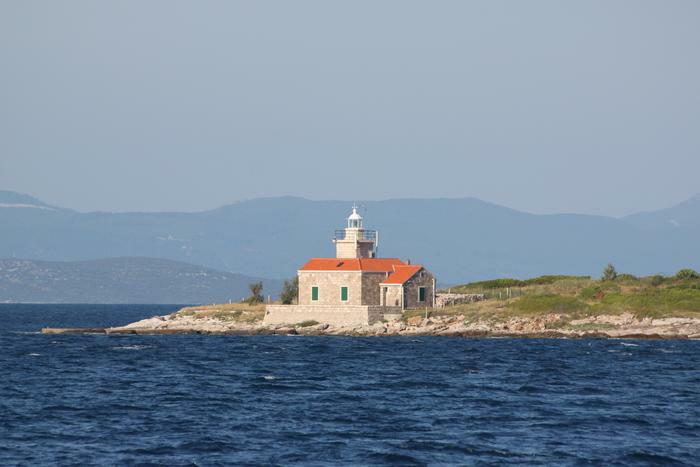 It was built in 1876 on the island of Sestrica Vela, located south of Zadar, close to the National Park Kornati. Its look and color combination reminds more of the of the British coast lighthouses. The 26-meter tower was built on ground 47 meters above sea level. The directions to the island are not difficult. You have to go with a car to the Sukošan town. In Sukošan you have to board a boat which will take you to the final destination. The facility also features 2 suites with 4 beds, and it is interesting that you will have your own lighthouse keeper on disposal. Due to the good position and the surrounding nature, the lighthouse is ideal for a quiet family vacation or adventure with your friends. Did you know that the lighthouse at Struga has the same distance from Split and Dubrovnik (100 km or 55 NM). 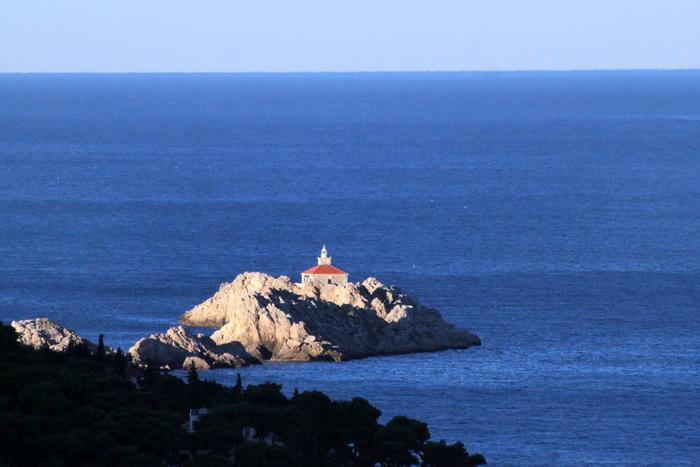 The lighthouse is located on Lastovo, the island that was inhabited for the first time in ancient times. It is only connected with Split, and it could be reached by ferry or catamaran that stops in the port of Ubli (in Lastovo). From the port Ubli to the lighthouse you can come with your vehicle. 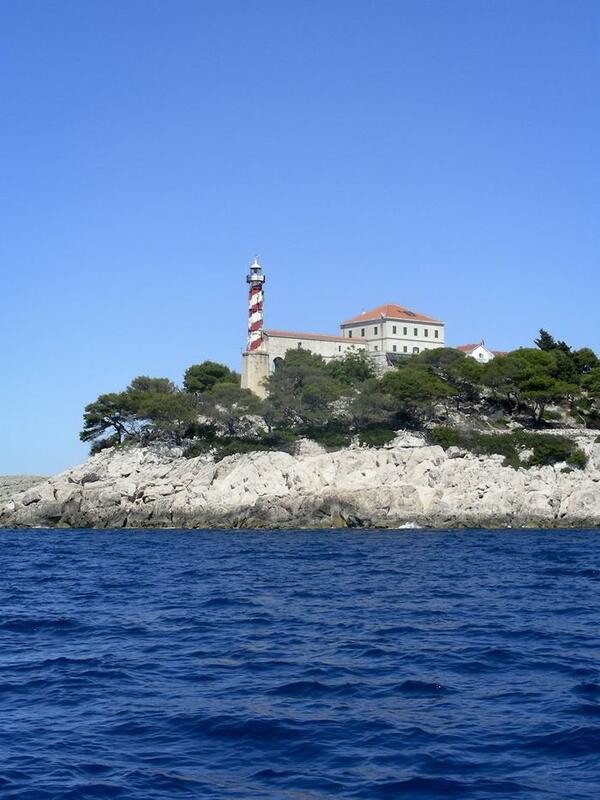 The tower was built in 1839, which makes it the oldest lighthouse in the Adriatic. It is positioned on a cliff and is located about 70 meters above sea level, giving it an amazing view of the open sea. The lighthouse is well connected with other places on the island, so you can go with a vehicle you can go to the nearby food store. If you are not in possession of a personal car, a lighthouse keeper can do it for you. For those who have an adventurous spirit, a lighthouse is surrounded with pine forests and a large selection of beaches. The lighthouse contains 4 apartments with 2, 3, 4 and 5 beds, a kitchen and a toilet. Parking is also available if you have a personal car. 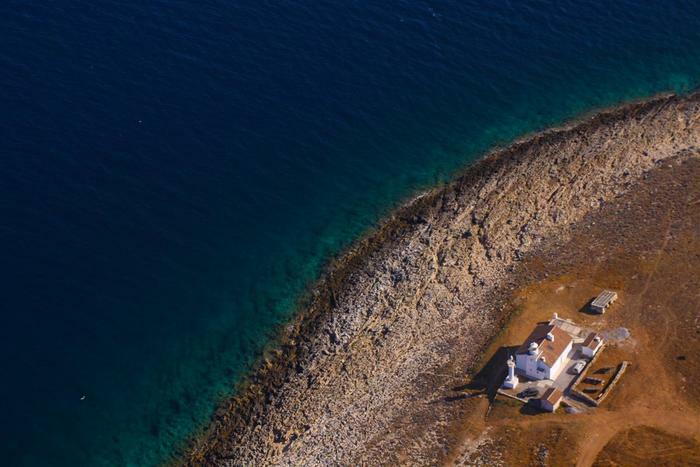 If taking a rest in an isolated place is on top of your priority list, a lighthouse on the island of Palagruža would be the best choice, especially if you are familiar with the fact that this is the furthest Croatian island. Thanks to the isolation from the land, Palagruža has a special eco-system dominated by a multitude of endemic species, and the marine area around Palagruža has a rich fishing area. 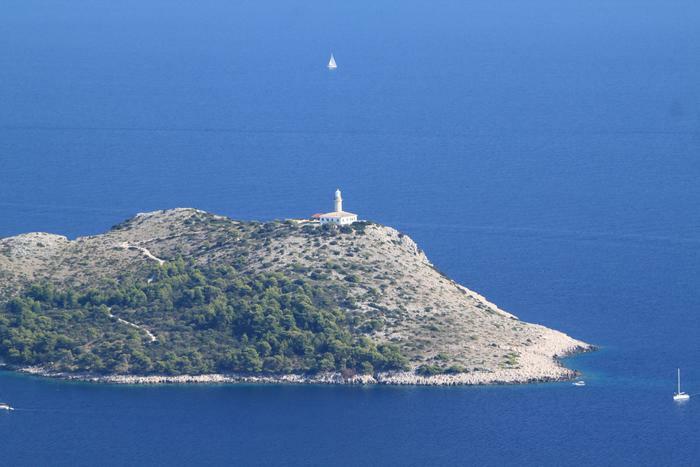 Although it may look like yet another deserted island, Palagruža had a strategic significance throughout history, which is why it „changed so many rulers. During the Austro-Hungarian period, more precisely in 1875, a lighthouse was built, and a meteorological service was established (1895). 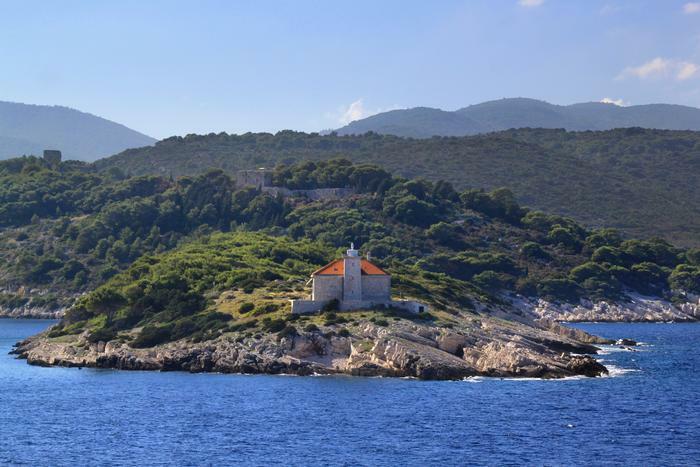 To get to the furthest Croatian island you need to embark on a ferry from Split to the island of Korcula. It is necessary to reach the town of Korčula with a car, from which there is another boat transportation to Palagruža which takes about 3 hours. The lighthouse is supplied with water, mobile grid and electricity, and has 2 suites with 4 beds. Peace and quiet are very desirable on every vacation but on the other hand, there are people who would not want to miss the opportunity to visit the restaurants or local museums. With lighthouse Marlera, you can cover all the activities and enjoy in your privacy. 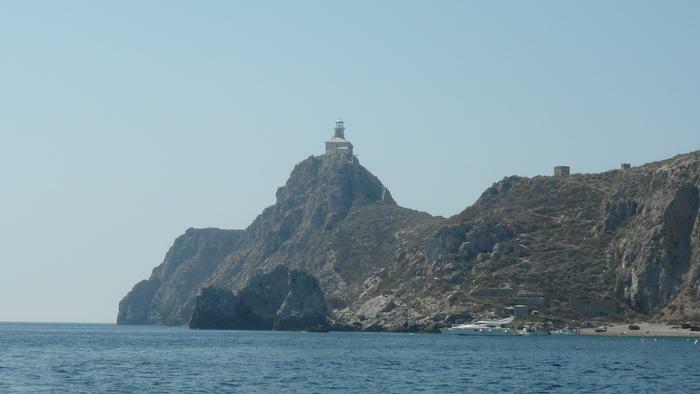 The tower, built in 1882, is located on the island with the same name, between several islets to allow for safer navigation due to strong sea currents and winter winds. It is ideal for active travelers because nearby is a small place called Ližnjan known as surfing and diving paradise.Also nearby is Medulin where you can try local Istrian delicacies or go shopping. The lighthouse is accessible and it is possible to reach it by car, for which parking space is also reserved.Guests have three bedrooms and a garden of 1500 m2. For those who wish to enjoy excursions or sightseeing, it is recommended to take a trip to the nearby Levan Island which is specific to one of the most beautiful sandy beaches to which a free shuttle is provided. The Adriatic coast is one of the most beautiful destinations in the world for spending the summer holidays, and thanks to a large number of lighthouses guests can add to their vacation a new, quite unusual dimension.